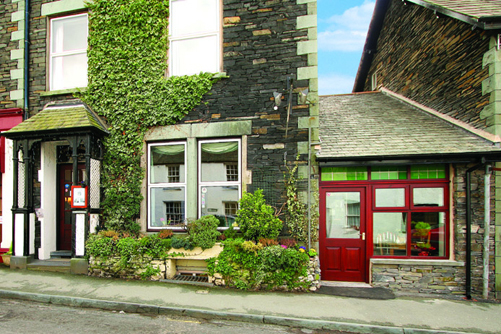 Sylvia and John Drinkall, proprietors of Croyden House B&B decided to capitalise on under-utilised space in the heart of Ambleside. The garage adjoining their guest house would generate additional income if it was converted to a charming tearoom. Cook and Lakin created a new frontage and fitted out the interior space in keeping with the rest of the property.Sylvia’s cream teas are now becoming legendary and the cafe is providing additional income that will repay the refit cost in a matter of months.